Second day of classes for the week. We had business dissertation earlier, and like any other module we have, it’s at ‘100mph’ as they call it. I’m still thinking of a topic or a certain area to research on. All I have so far is this: The viability of Coffee Shops (e.g. local, Starbucks, or Costa) in the UK against the viability of Coffee Shops in the Philippines. I chose to do a comparison for the UK and the Philippines, basically because it’s where I am from. However, I wanted to do something even more specific right now. I just can’t get on the right track or the path that I wanted. I’m still thinking though, any ideas dear friends? I usually run to my guitar for creative thinking. Sadly enough, I wasn’t really capable of bringing my guitar with me – with my huge luggage and hand-carry bag (includes my heavy laptop, camera, and the sort). Then in the evening, it’s weird for me that they start really late too, we had a taster for Volleyball. I was thinking of joining Swimming but then again, I thought of the weather and temperature here (still not used to it). Bench-warming the bench because – haha – I did not bring my trainers (rubber shoes), not that I had any because a-duh I like wearing my converse when playing. So, I still have to buy one if I really wanted to play. Well, that’s all I can really share for tonight or in the other parts of the world, today. I’ll leave you again with another lovely song (maybe I’ll do this out of habit, I don’t know). I keep forgetting to update this on a daily basis, and now I’ve literally forgotten how many days I have to cover, and which day I am on. 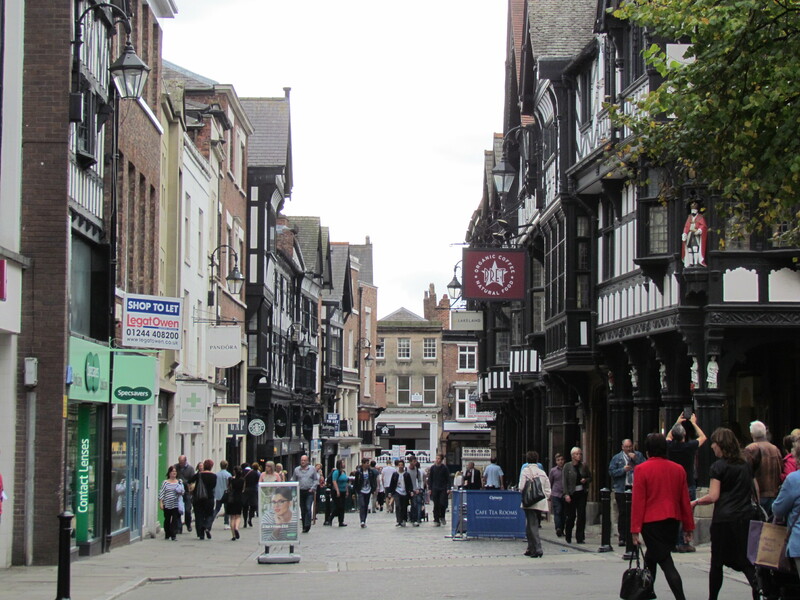 Anyway, from Friday until Sunday, we obviously did nothing but to walk around the City Centre (again), and bought groceries that are good for a week. Then, yesterday (which was Sunday), we attended a mass. It was really different from what I’m used to back in the Philippines. However, the ‘church community’ – I’m just guessing they already know each other for quite sometime now, was really friendly and they welcomed us with warm greetings and hand shakes. So overall, it does’t really matter for me how the mass was offered, as long as I was able to give thanks. Finally, today was our first day of classes. It’s quite difficult to adjust to the method that they have here. It’s all very independent learning but I find it good and effective because it means that you really have to work hard and not expect everything to be spoon-fed to you. 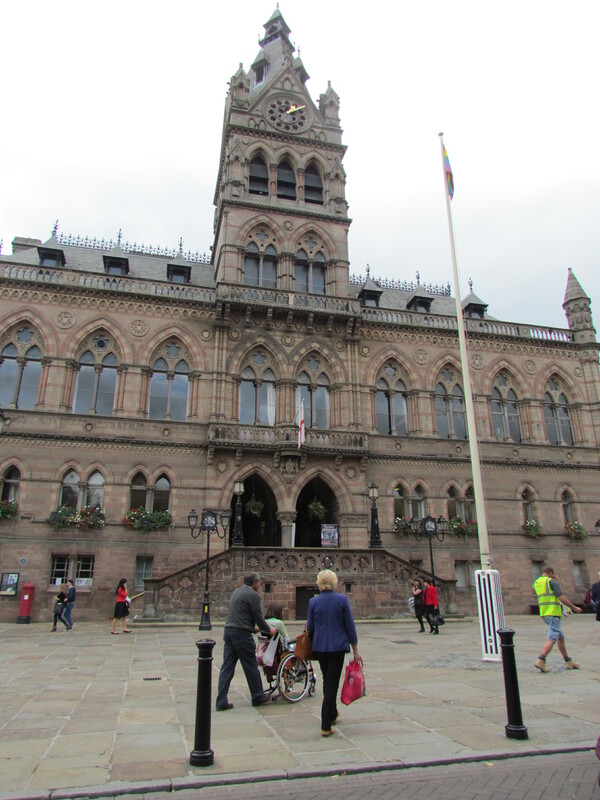 I quite like the library in Chester as well because they have a huge collection of useful books – which I’m afraid cannot be accessed in a Philippine Library (we have to work on that *wink*). Being the bookish person that I am, I feel so comfortable inside the Library. Anyway, that is it for today. I only have one class tomorrow and it’s at 5PM. What am I supposed to do in the morning? Lol. I’m still adjusting to the time here, because it feels so slow. So, when I go to sleep at 10PM, I keep waking up at 2 or 3 in the morning thinking I’ve had a good 8 hours of sleep already. It feels that long anyway. I’ll leave you with The Narrative’s lullaby-like song Eyes Closed. 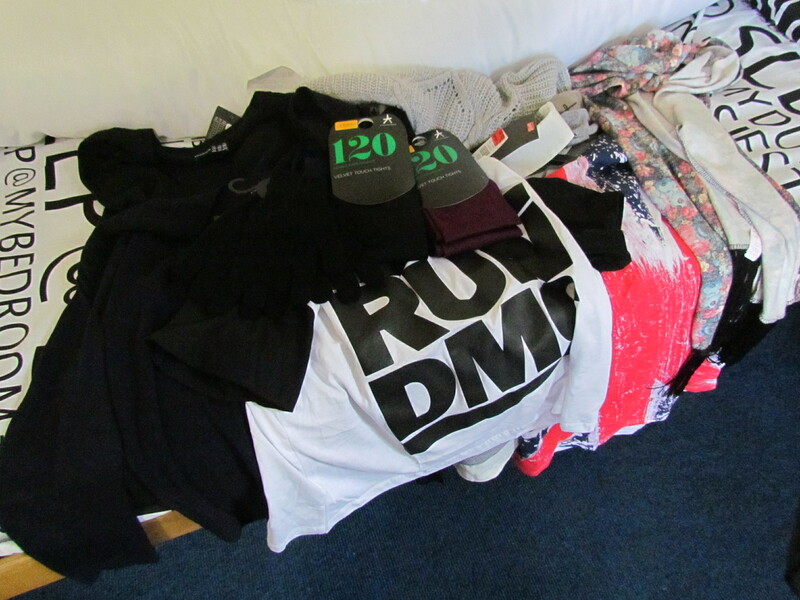 Days 4 – 6: More Shopping.. I got one of those trolleys now because it’s freakin’ hard to go back and forth to the city centre. Now that I got that trolley, I went on a shopping spree at Primark! Haha, impulsive buyer that I am, I bought lots of things but I really DO need them. 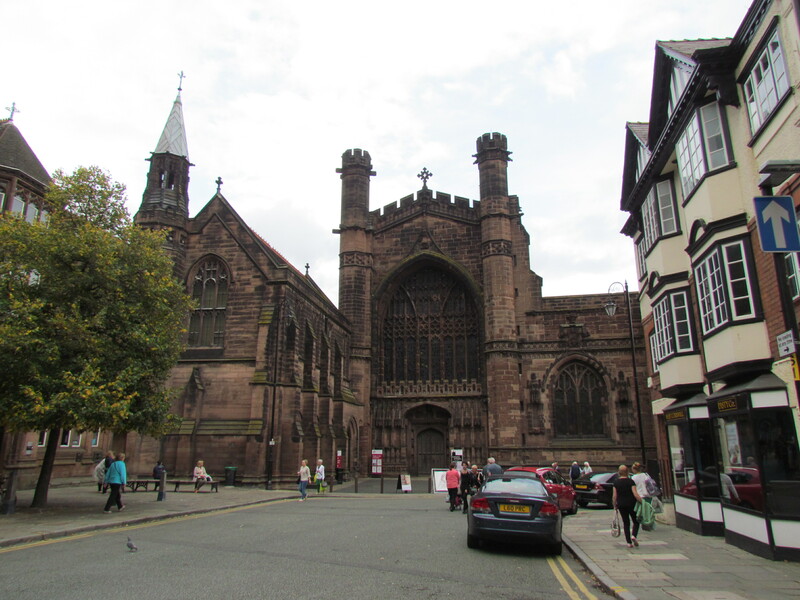 I haven’t taken pictures of the town and the sites here, probably because I’ve been too tired to take it all in but when we were resting at a bench, I got to see just how beautiful it is here in Chester. It’s quite old but it has a character of its own – if you know what I mean and if I’m even making sense. Every time the sun was shining here I was really happy because it reminds me of home. Anyway, here’s what I’ve photographed so far.